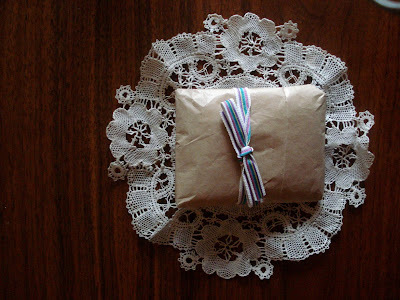 There was a cute little present waiting for me in my mailbox today. 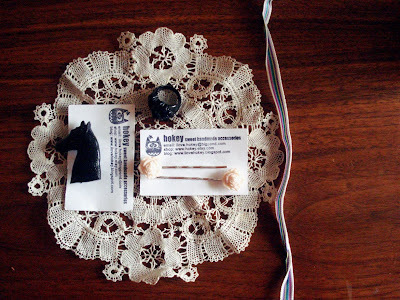 I purchased the brooch and hair slides from Hollie's etsy store. I was pleasantly surprised to find one of her lovely rose rings in there also! So sweet, especially as I had been trying to decide between that and the brooch (really I wanted all three) but funds were low that day. The best part about all of this is that 50% of all her sales to Wildlife Victoria to help with the Australian bushfire relief effort that I mentioned awhile back. Thank you Hollie!